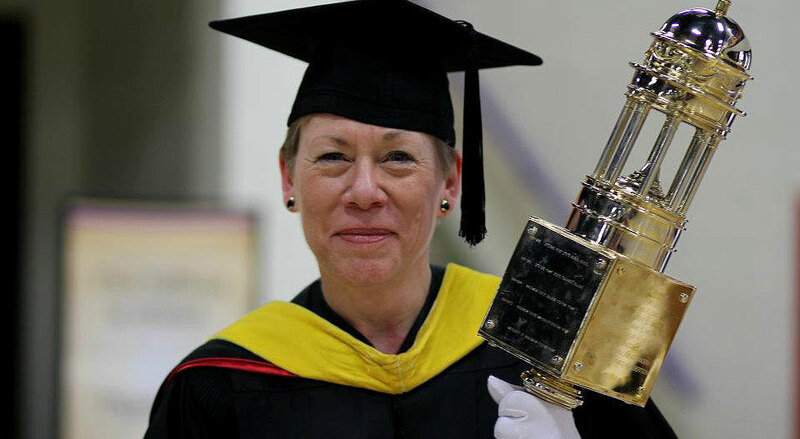 Emeritus Professor Patricia Kluetz of the UW-Stevens Point Division of Interior Architecture will receive the highest honor in her profession as the American Society of Interior Designers announced its 2014 ASID Class of Fellows. The title of fellow is awarded annually to individuals who demonstrate outstanding service and contributions to ASID, the profession and the interior design industry. The highest distinction a member can receive from ASID, th fellows will be inducted on June 21, 2014, at Celebration: The ASID Awards Gala at Paramount Picture Studios in Los Angeles. Jane Garland Lucas and Shashi Caan will also be honored as fellows. “Bringing design to life” is one of the key messages Kluetz instills in her design students at UW-Stevens Point. Kluetz has spent much of her career educating and nurturing design students. For nearly two decades, she served as the faculty adviser of the university’s student chapter, which under her guidance won numerous awards, including Outstanding Student Chapter of the Year in 2006. Kluetz, a practicing designer, also is extremely active in ASID leadership roles both nationally and with her local chapter. As a result of her dedication, she has been awarded four Wisconsin Chapter Presidential Citations and a Chapter Educator Medalist Award. “Pat’s ideas were bold and backed up by pragmatism; she was warm, funny, inclusive and decisive; and we were always eager to get her feedback and insight … my respect for her has only grown through the years as I have met her former students and seen the impact she has on them professionally and personally,” said Charrisse Johnston, ASID.